The Ohio Municipal Electric Association (OMEA) recently held its annual General Membership Meeting in Columbus, Ohio. During this meeting, OMEA members approved 10 new honorary members, three of whom were longtime City of Bryan municipal power advocates. Bryan Mayor Douglas “Doug” Johnson has served on the OMEA Board since 2001, including seven years on the OMEA Executive Committee. Johnson was first elected Mayor in November 2001. Mayor Johnson is a member of the North West Ohio Mayors’ Association, Ohio Association of School Principals, Williams County Workforce Investment Act Board, Buckeye Association of School Administrators, Ohio Municipal League Board, Maumee Valley Planning Organization Board, and the Williams County Economic Development Corporation (WEDCO) Board. Prior to becoming Mayor, Johnson spent 34 years in education, including 15 years as Central Local Schools Superintendent, five years as Bryan High School Assistant Principal and Athletic Director, and 10 years as BHS Principal. He managed the Gorny-Winzeler store in Bryan for three years, gaining valuable experience in business/retail. Mayor Johnson is also a past president of the Bryan Area Chamber of Commerce. During the OMEA General Membership Meeting, the City of Bryan was re-elected to the organization’s Board of Directors. Mayor Johnson will fill this seat until his retirement at year end 2017. 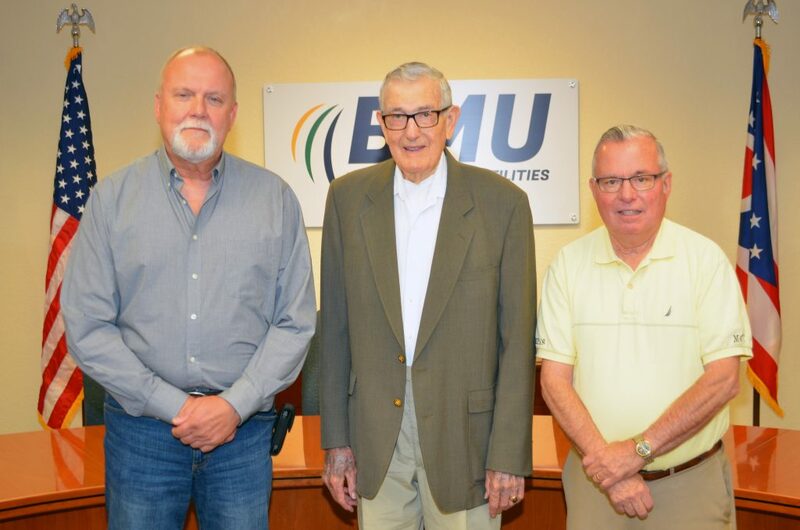 Jim Salsbury, former Bryan Municipal Utilities (BMU) lineworker and current Bryan Board of Public Affairs (BPA) member, began his electric industry career at BMU in 1972. After working in the telecommunications industry, Salsbury returned to BMU in 1984 and served as a lineworker until his retirement in 2012. In 2014, Mr. Salsbury was elected to the BPA. During his four years as a Board member, Salsbury served on the BPA electric, water, communications and human resources committees. He was chosen as BPA Chairman in 2016. Salsbury plans to retire at the conclusion of his current term in 2017. Al Horn was appointed to fill an unexpired term on the BPA in July 2004. Horn was elected to the BPA in 2006 and 2012, retiring at the end of his term in 2015. During his tenure as a Board member, Horn served on the BPA finance, water, electric, communications and human resources committees. He was selected as BPA Chairman in 2014. In 2015, Mr. Horn inducted into the Ohio Senior Citizens Hall of Fame. The OMEA is the legislative liaison to 80 Ohio community-owned-and-operated municipal electric systems, with the goal of protecting the independence and constitutional rights of Ohio municipal electric systems.